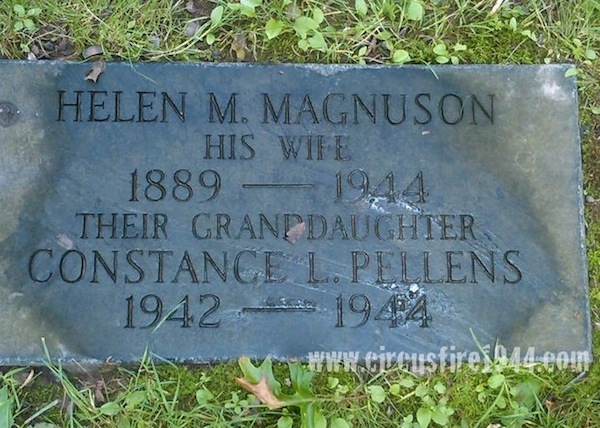 Miss Constance Louise Pellens of 375 New Park Avenue, Hartford, was born February 14, 1942 in Waterbury, daughter of Grace (Johnson) and Gerard Pellens. 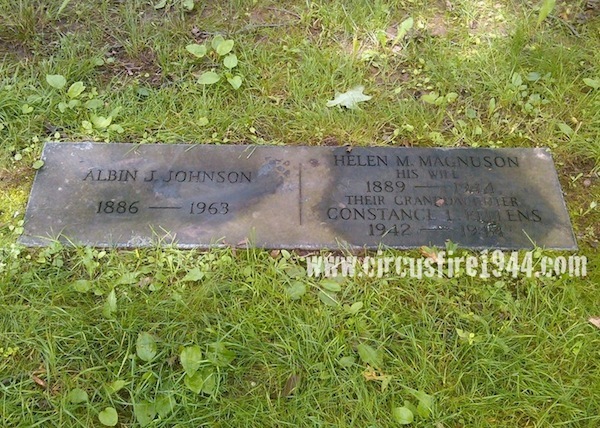 She and her grandmother Helen Johnson were found dead at the circus grounds after the fire on July 6 and were buried at Cedar Hill Cemetery in Hartford after services at the Taylor & Modeen Funeral Home. Miss Pellens leaves her parents, of Hartford, and her maternal grandfather, Albin Johnson. The body of Constance Pellens was identified by her father at the State Armory on July 7. Her estate was awarded $6,000 by the arbitration board.